The entrepreneurial spirit is complex. Sometimes it makes you create companies; sometimes the startup is just yourself, as you keep on developing your multi-faceted persona and meaningfully contribute to the success of a large diversity of ventures. The latter characterizes a long-time friend, Melissa Eisenstat. As we were having lunch this week at Sfoglia opposite the 92nd Street Y, “a quintessential New York institution,” Melissa was joyfully going back and forth between the Debussy and the Ravel she is learning and her missions in various NPOs, especially at the Hope Funds for Cancer Research, which makes post-doctoral grants for basic research in rare cancers and that she joined as Trustee and Treasurer in 2008. No matter what, she works a lot! 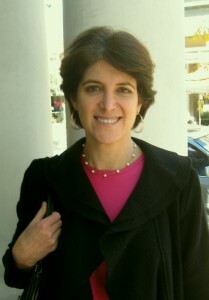 And so does her husband, Jonathan Blau, managing director and head of the leveraged finance strategy and portfolio products group at Credit Suisse – but also one of the original actors (a “Microkid”) in the 1981 The Soul Of A New Machine, an epic where Tracy Kidder chronicled the efforts of Tom West and his team at Data General at Westborough, MA, to build a minicomputer code-named “Eagle” in order to catch up with DEC.
A great profile and then the coup de grace of the connection to a character in Soul of a New Machine (my favorite ‘tech’ book. ).